Does the marriage allowance apply to you? The marriage allowance can be beneficial to married couples and civil partners on lower incomes. Claiming the marriage allowance is worth up to £238 in 2018/19 and £250 in 2019/20. The marriage allowance allows one spouse of civil partner to transfer 10% of their personal allowance (rounded up to the nearest £10) to their partner if they are unable to utilise the full allowance. However, it is only available where the recipient pays tax at the basic rate – couples where one party has no income and the other party is a higher or additional rate taxpayer cannot benefit from the allowance. and their partner pays tax at the basic rate. 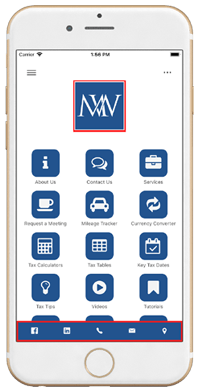 For Scottish taxpayers, the marriage allowance is available if the recipient pays tax at the Scottish starter, basic or intermediate rates. For 2018/19 the personal allowance is £11,850 and the marriage allowance is £1,190. For 2019/20, the personal allowance is £12,500 and the marriage allowance is £1,250. Where the marriage allowance is claimed, the transferor’s personal allowance for the year is reduced by the amount of the allowance and the transferees personal allowance is increased by the amount of the allowance. Instead of that portion of the personal allowance being wasted, it is set against the transferee’s income, saving tax at the basic (or relevant Scottish) rate. Lauren is a stay-at-home mum. She has no income in either 2018/19 or 2019/20. Her husband Joe works as an electrician earning £20,000 a year. They claim the marriage allowance for both 2018/19 and 2019/20. For 2018/19, the allowance is £1,190. By claiming the allowance, Lauren’s personal allowance is reduced to £10,660 (£11,850 – £1,190) and Joe’s personal allowance is increased to £13,040 (£11,850 + £1,190). Their combined personal allowances remain at £23,700, but utilising the marriage allowance to increase Joe’s allowance while reducing Lauren’s saves them £238 (£1,190 @ 20%) in tax. If they claim the marriage allowance of £1,250 for 2019/20, Lauren’s personal allowance will fall to £11,250 (£12,500 – £1,250), while Joe’s personal allowance will increase to £13,750. Claiming the allowance will save them tax of £250 (£1,250 @ 20%) for 2019/20. The allowance will still be effective where the partner with the lower income does not fully utilise the allowance, even if as a result, they have some tax to pay as a result of making the claim. In 2018/19, Max has income of £11,000 and his wife Amy has income of £17,000. Claiming the marriage allowance will reduce Max’s personal allowance to £10,660, meaning he will pay tax of £68 ((£11,000 – £10,660) @ 20%). However, Amy’s personal allowance will increase to £13,040, saving her tax of £238. As a couple they are £170 better off (£238 – £68). The marriage allowance can be claimed online: see www.gov.uk/apply-marriage-allowance. Once a claim is made it will apply automatically for subsequent tax years, unless cancelled or circumstances claim. A claim can be backdated to include any tax year since 5 April 2015 for which the qualifying conditions are met. The allowance can also be claimed for the year in which one partner dies. 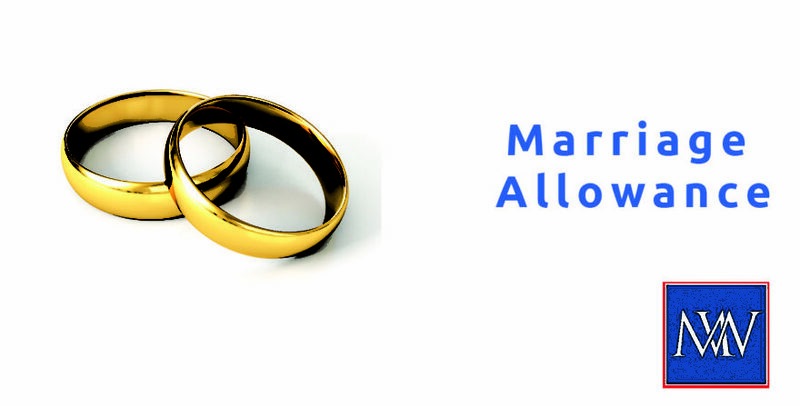 Where the marriage allowance is claimed, both the transferor’s and transferee’s tax code are amended as a result. A code with a ‘M’ suffix denotes that the individual has received the marriage allowance, whereas a ‘N’ suffix denotes that the individual has transferred 10% of their personal allowance to their spouse or civil partner. In the above example, Lauren would have a tax code of 1066N for 2018/19, while Joe’s tax code would be 1,304M. For 2019/20, Lauren’s tax code would be 1125N, while Joe’s tax code would be 1375M.